A landscape contractor is a specialty contractor who provides the materials and services needed to make the landscape architect's project become a reality; and/or to provide the management and maintenance needed to keep the project in prime condition after implementation. The Landscape Contracting and Management degree is accredited by the Professional Landcare Network (PLANET). Three internships are required which involve three semester of experiential learning and field experience with an approved landscape contracting company or agency and, under the supervision of a qualified supervisory and oversight of MSU faculty. According to the U.S. Bureau of Labor Statistics, in May 2017, first-line supervisors and managers of landscaping, lawn service and grounds keeping workers' mean annual wage was $50,200. Landscaping contractors fall into this category. 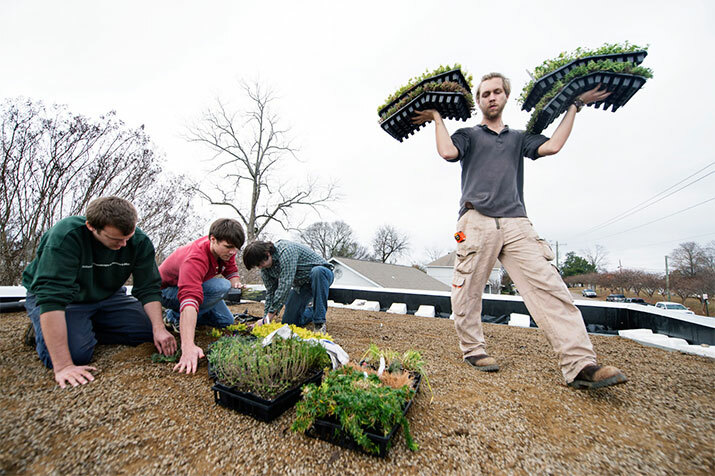 Residents of Alabama, Georgia, Louisiana, and Maryland may attend Mississippi State University and major in Landscape Contracting and Management at in-state tuition rates through the Academic Common Market. Find out more about the Academic Common Market. States offering this opportunity are subject to change.